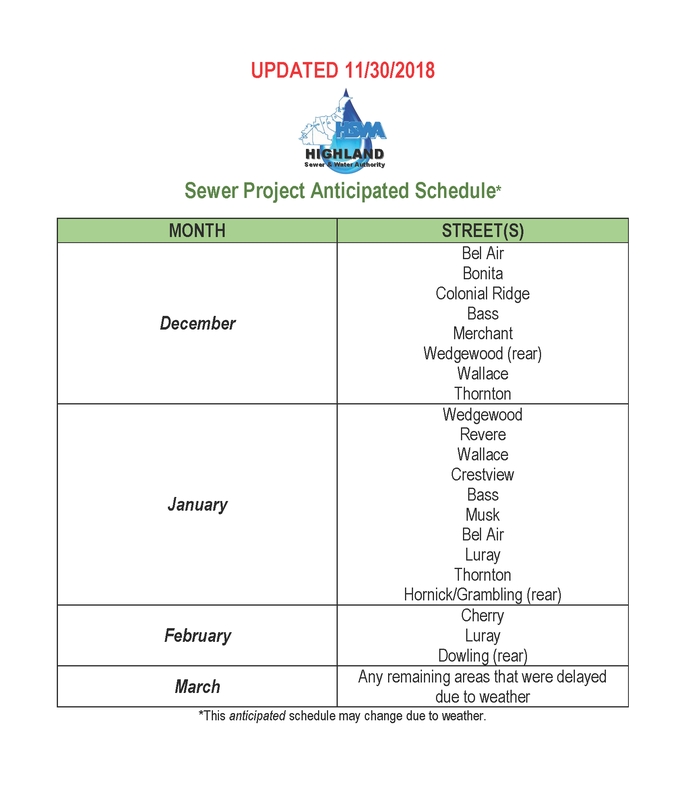 HSWA will be hiring a contractor to replace approximately 13,200 LF of sewer main, along with associated manholes, laterals and viewports, in the Bel Air areas of Richland Township. Please view the map for more details. Please check back for updates or sign up to receive updates on our Home Page. Thank you for your cooperation and patience during this construction period.